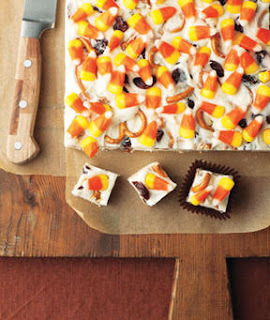 This candy corn fudge recipe is great for your left over candy corn. If you dont have any leftover, many store have it on clearance right now. This colorful treat would make a nice Thanksgiving treat to serve to your guests. You can find the recipe here on WomansDay.com.